When the leaves on the trees start to change colors and fill the air with a crisp, warm spicy smell, we generally hunker down in our kitchens to make a comforting pot of soup. Our house is no different. There is nothing better than a piping hot bowl of soup to warm your insides. One key ingredient for fall soups is squash. It comes in many shapes, colors, and varieties. Squash, a fruit, is considered by the Native Americans as one of the “Three Sisters.” These include maize, beans, and squash. They would plant these three together because the corn stalk would provide support for the climbing beans, and shade for the squash. The squash vines provided ground cover to limit weeds. Weeds can be detrimental to the growing conditions of squash. The beans provided nitrogen for all three crops. I belong to several food groups on Facebook and this recipe was posted by one of the members. 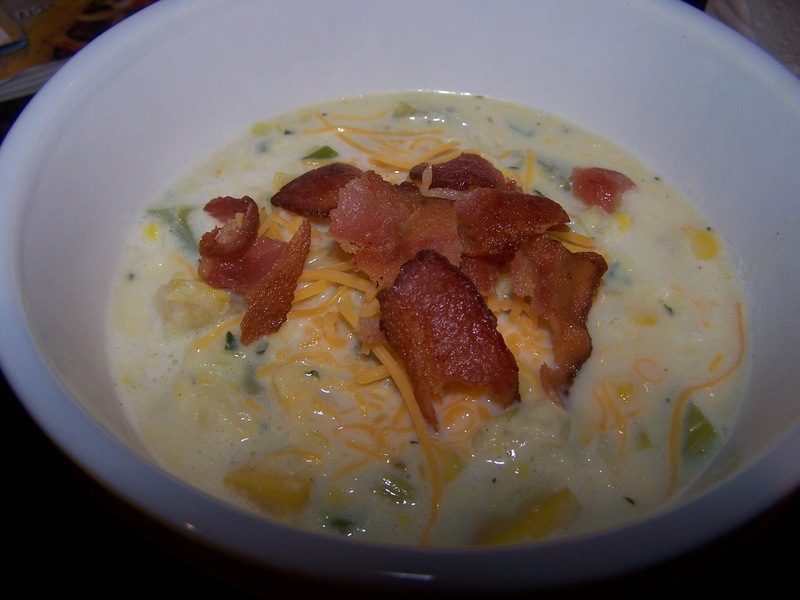 Who could go wrong with squash, potato, corn, and my favorite…bacon! ENJOY! 1. Cut kernels from corncobs, reserving the cobs. 2. In a soup pot, cook bacon over medium heat until browned. Transfer bacon to a paper towel lined plate to drain. When cool enough to handle, crumble bacon pieces. 3. Add onion and jalapeno to bacon drippings in soup pot. Stir and cook until onion is tender, about 5 minutes. Add garlic, cook 1 minute longer. Whisk in flour, salt, and pepper, cook for 1 additional minute. 4. Stir in the pureed squash, potatoes, corncobs, corn kernel, tomatoes, and broth; heat to boiling. Reduce heat, cover, and simmer until potatoes are tender; 10-15 minutes. 5. Discard corncobs from soup pot. Stir in the cooked bacon and milk. Heat through and serve. This recipe combines the great flavors of bar-style buffalo chicken wings and the speed of putting together a pot of sloppy joes. A good Lousiana-style hot sauce gives this dish the tart zing that replicates those great wings. The creamy tang of the blue cheese tones down the heat just enough to make you want to keep eating more. I used ciabatta rolls instead of hamburger buns. Using a denser, harder roll prevented the buns from falling apart while eating. I also used ground beef in preparing the pictured recipe. 1. In a Dutch oven, cook the first five ingredients over medium heat until the ground beef or turkey is no longer pink. 2. Stir in the tomato sauce, chicken broth, hot sauce, brown sugar, vinegar, Worcestershire sauce and pepper; heat through. 3. Serve on buns; sprinkle with blue cheese; if desired.